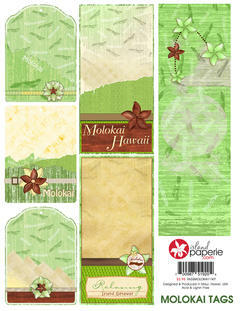 8.5x11 Molokai Shimmer Linen Cardstock Tags. Made in Hawaii. Use these tags as Embellishment to your scrapbook pages.